A potted history of one of the most favourite styles of footgear. 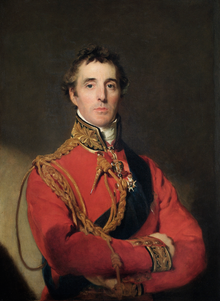 The wellington boot is associated with Arthur Wellesley, the first Duke of Wellington, (the Iron Duke) (1769-1852). He instructed his shoemaker, George Hoby of St. James' Street, London, to modify the Hessian 18th century boot and make it in calfskin leather. George Hoby (1759-1832) was proud of his achievement and is reported to have said on news of the French defeat at Vittoria. Wellingtons first appeared in 1817 and proved popular with the troops because they were hard wearing for battle yet comfortable for evening wear. The boot leather was treated with wax to make them softer and more waterproof. 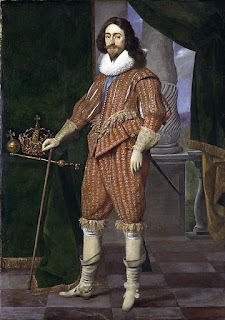 The new boots became a very popular fashion accessory for gentlemen. Considered fashionable and foppish in the best circles, they remained the main fashion for men throughout the 1840's. In the 50's they were more commonly made in the calf high version and in the 60's they were both superseded by the ankle boot, except for riding. 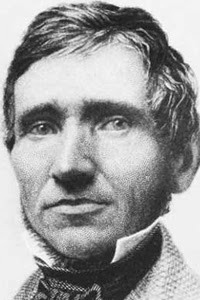 After Charles Goodyear (1800-1860) invented a vulcanisation process for rubber some American bookmakers began making rubber boots. Hiram Hutchinson saw the potential to shod agricultural workers in France and bought the patent from Goodyear in 1852. He started a rubber boot company in Montargis called “La Compagnie du Caoutchouc Souple” (The Flexible Rubber Company). He patented a brand of wellington boots he called “A L’Aigle (or Homage to the Eagle) in 1853. 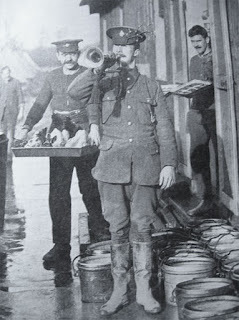 The new waterproof boots were quick to become established and sold well within the large rural population (95% of the population). By 1857 the company were hand making 14000 pairs of boots per day. Now called Aigle, these Wellington boots have become synonymous with quality and 95% of the Aigle’s collection is still handcrafted in France. 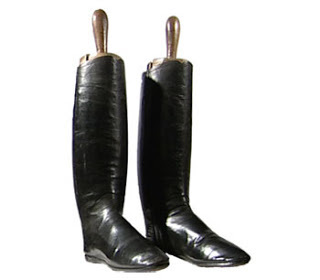 Fellow American, Henry Lee Norris moved to Edinburgh, Scotland and started producing rubber wellington boots in 1856. Norris believed Scotland was a good place to manufacture wellingtons because of the country’s high rainfall. 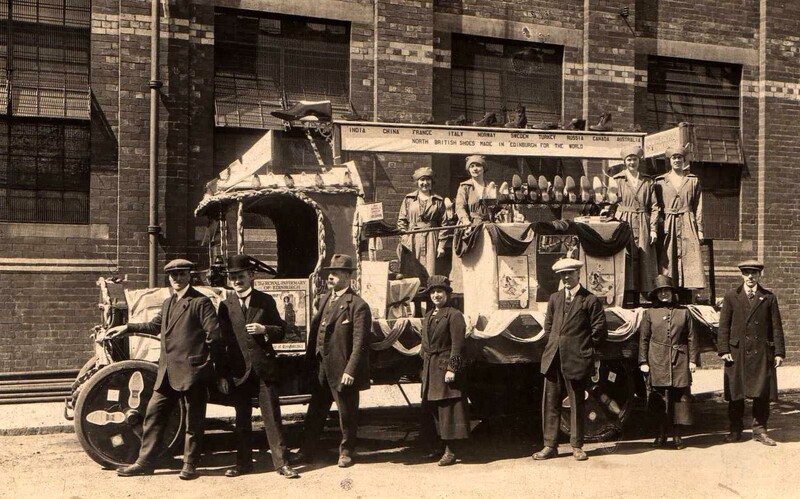 Based at Castle Silk Mills his company was registered as the British Rubber Company. 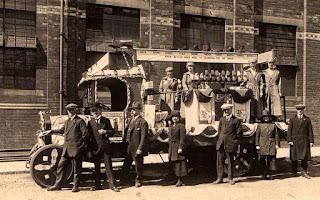 Four former bootmakers from New York trained the Scottish workforce and the company went in to production first making rubber shoes and boots but then quickly expanding to produce an extensive range of rubber products, included tyres, conveyor belts, combs, golf balls, hot water bottles and rubber flooring. Come the outbreak of the First World War (1914- 1918) the trench war ensured high production of rubber boots. In the Second World War the armed forces again used vast quantities of rubber wellington boots along with waders. In peace time farmer’s gardeners and fishermen made good use of rubber footwear. The new wellingtons (or ‘wellies’) had to be hard wearing and comfortable, usually made of natural rubber with good non-slip soles. 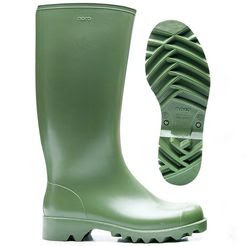 Wellington boots came in a variety of colours and heights, but most are about knee-high and a number of them come up to the crotch and are worn as waders. The soles were also made of full rubber and had some form of tread on them for grip while walking in a stream or on wet ground. These boots are made to be waterproof. The North British Rubber Company continued to prosper introducing both the Green Hunter and Royal Hunter wellingtons in 1955. The North British Rubber Company changed its name to Uniroyal Limited in 1966. More changes took place until eventually four decades later; the Wellington boot production section became Hunter Boot Limited. Hunter Wellington boots have transformed from being a solely practical item to now an extremely popular fashion brand. Thanks for posting our video (Aigle Boots), we have a new forum setup at http://aigleboots.info/forum if anyone would like to join in and share their thoughts. Don't forget to get your loved ones Aigle Boots for Christmas! The blog you have produced is no doubt the matchless and unique in the in the idea. My expertise is in the domain of http://www.rubberflooring-uk.uk/. I would like to get more knowledge in the mentioned area. The rubber has made it possible to provide Rubber flooring that is up to the mark. The rubber made flooring has been very popular in the Europe and the Americas for the qualities that it possess. The Rubber flooring uk has been the need rather than the desire for luxury for the qualities that it possesses. Cameron Kippen is a former academic and amateur shoe historian and freelance broadcaster and blogger. He has no affiliation with footwear manufacturers, or retailers. The information on this blog has been collected and reported in good faith and wherever possible, from refereed materials. Where triangulation was not possible, information was taken at face value and unless stated otherwise represents the opinions of the author.